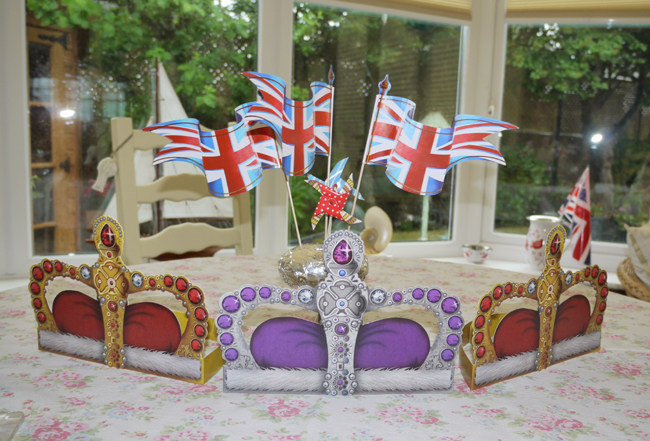 As part of the recent Jubilee weekend, my family threw a little Jubilee tea party. 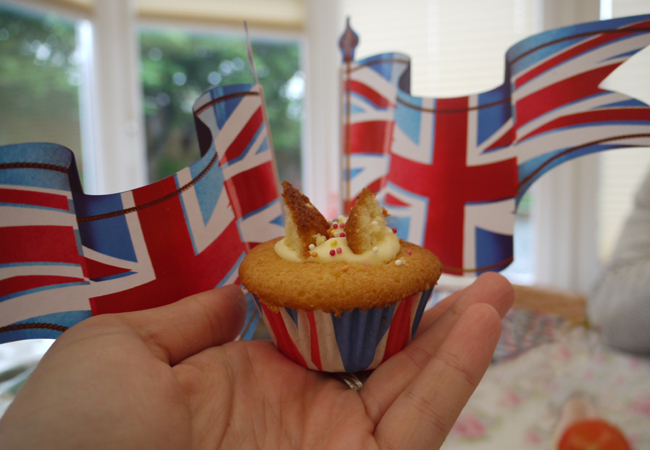 We decorated with bunting, red white and blue balloons, paper crowns, flags and windmills and ate a spread of fairy buns, cheese and cucumber sandwiches and other such traditionally British treats. Very quaint ;) . . . 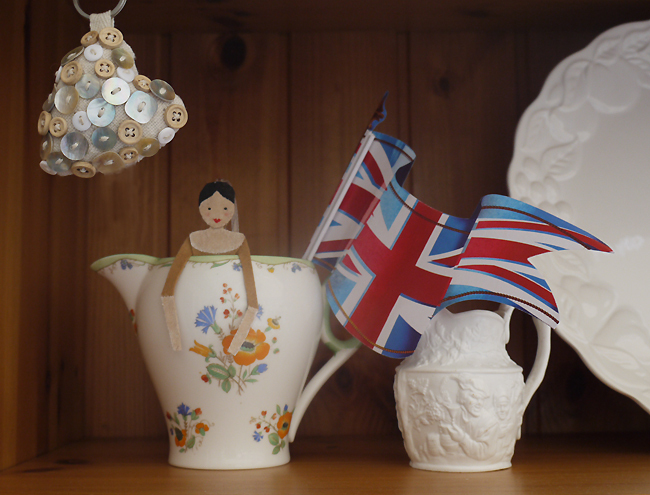 Above: Jubilee fever infiltrates the dresser! 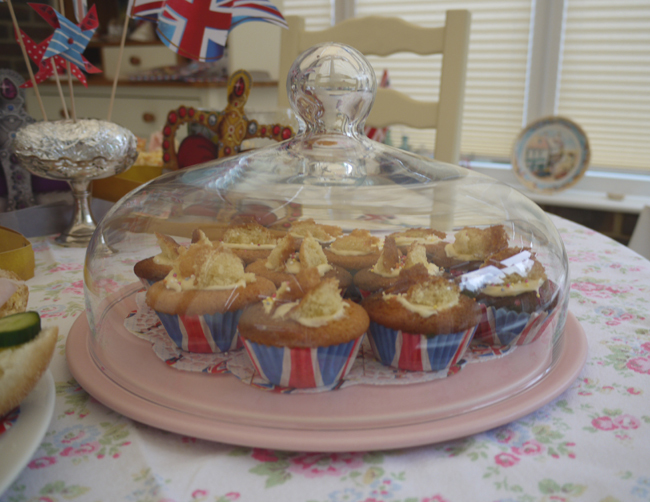 Above: Jubilee butterfly buns - yum! Above: Paper crowns, flags and windmills. 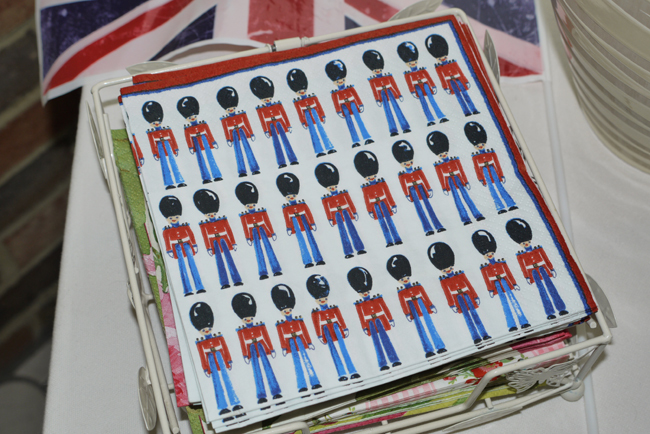 Above: Soldier napkins - too good to use, right?